Barry Ryan, Lynch, Paisley (O Cearuill 82) , Harris, Rogers; Bobby Ryan (Kirby 64), Dempsey, Fahey, O'Brien (Byrne 73); Guy, Quigley. Murphy, O'Brien, Price, Ferguson (Purcell 38), Flynn; Madden (Doyle 59), O'Connor, Maguire, Rice, Stapleton (Leech 64); Amond. 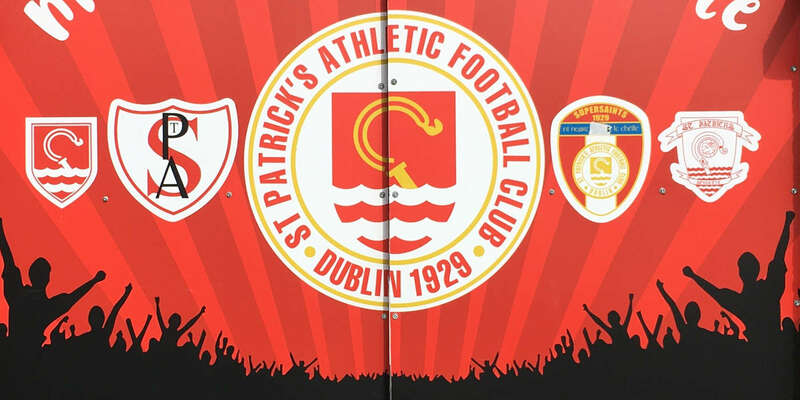 St Patrick's Athletic moved one point clear of Bohemians at the top of the Premier Division table after a 1-1 Dublin derby draw with Shamrock Rovers at a packed Richmond Park, writes Mark Cummins. Pat's Mark Quigley fired past Barry Murphy on six minutes after being set up by Keith Fahey, who had another excellent game for the home side. Rovers came more into the game in the second period and Padraig Amond rescued a point on 74 minutes following a great spell of Rovers pressure. Pat's lead the table but have now played two more games than Bohs. The sides entered the pitch to the strains of 'Also Sprach Zarathustra' over the loudspeakers. That's the music Elvis Presley used for his stage entrances and Pat's fans could have been forgiven for wanting to burst into a verse of 'The Wonder of You' following another sublime performance from Fahey. He set up Quigley for that opener and pulled the strings for the rest of the match from midfield. The Saints took the lead when Quigley latched onto that Fahey ball from the right and blasted a cracker past Murphy from the left of the box. Pat's kept up the pressure with Gary Dempsey crashing a free off the wall on nine minutes and, Fahey testing Murphy with a dinky 25-yarder on 11. Following that early excitement the game went more low-key with the home side enjoying more of the play. Transfer window signing Derek O'Brien made his home debut and slotted in neatly on the left. For Rovers, Amond (who has agreed the terms of an extension to his contract) was great up front and Pat's Stephen Paisley did well on the half-hour to disposes him on the edge of the box. 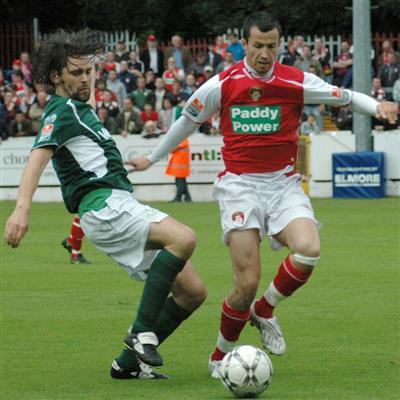 Also getting stuck in for Rovers was Irish under-21 international Simon Madden, who looked good down the right wing. Quigley nearly made it 2-0 when he beat Madden inside the box on 52 minutes but his rocket shot was wonderfully saved by Murphy at point-blank range. Tadgh Purcell then had the chance to put Rovers level two minutes later but shot straight at Barry Ryan whilst Darren Stapleton shot wide of Ryan's post on 57. 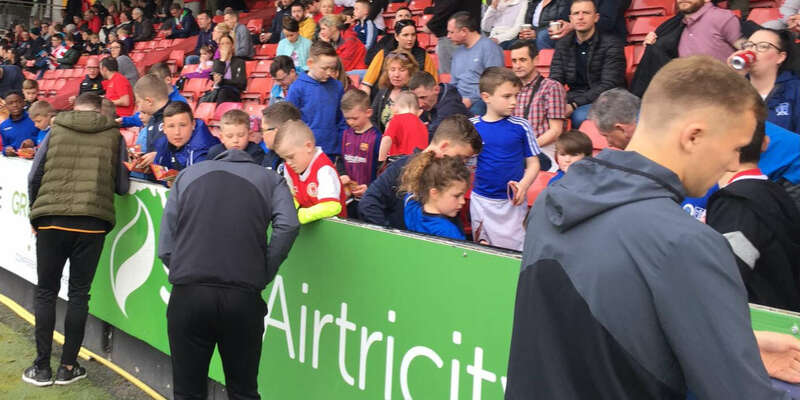 Rovers enjoyed a rich vein of form staring around the hour-mark, enjoying several corners and seeing plenty of action in and around the Inchicore end - where their fans had packed out the stand. Rovers always looked like getting something from the game and they did that on 74 when a Danny O'Connor shot was blocked by Ryan and Amond followed up and knocked the ball into the bottom left corner of the net. Ryan then denied Amond on 81 with a low diving save. 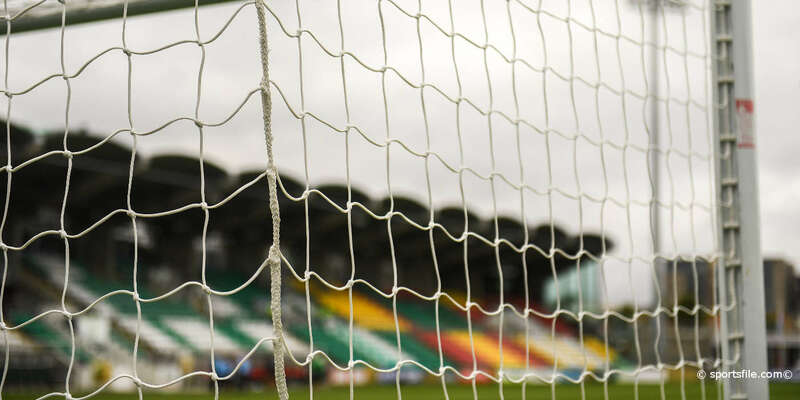 One minute's applause was held before the game following the deaths recently of several St Pat's fans, and former Saint from the 1960s, Dougie Boucher, who died on Saturday.